Frontotemporal dementia (FTD) is a cruel disease, robbing patients of core human characteristics and wreaking havoc with relationships. Clinical and scientific interest in FTD and related disorders continues to grow rapidly, with major advances having occurred since this book's last publication. New clinical diagnostic criteria were published in 2011; new pathological discoveries have led to new diagnostic criteria; and major genetic discoveries have been made. This new edition covers these developments, providing the leading resource on FTD, PPA, PSP, CBD, FTD-ALS, and related disorders, now written by a more internationally representative group of authors than before. 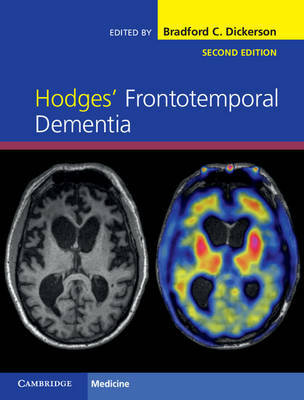 Providing an in-depth and expert synthesis of the status of our knowledge of FTD and related syndromes, the content includes chapters reviewing clinical, neuropsychiatric, neuropsychological, imaging, and other features of FTD and multidisciplinary approaches to patient management. Essential reading for specialist and generalist neurologists, psychiatrists, geriatricians, neuropsychologists, neuropathologists, and basic scientists in relevant fields.